Located at Tokyo's Shibuya district, Harajuku seems to be one of Japan's favorite tourist destinations when it comes to shopping. 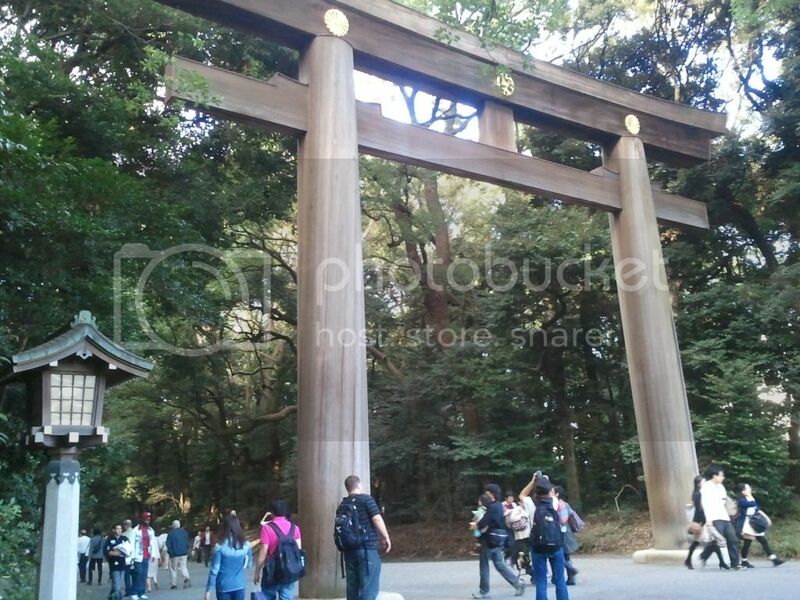 Wikitravel suggests that you go on a walking tour on a weekend so you could also witness the activities at Meiji Shrine. 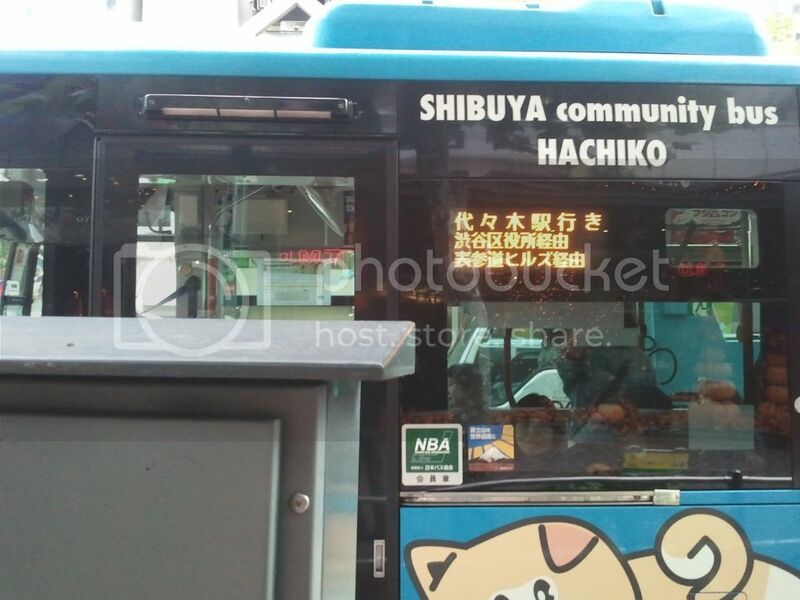 The itinerary that they suggest is to start at Shinjuku and walk south until you reach Shibuya. I did the exact opposite. Regardless of the direction, you will enjoy the experience. I began the day at Shibuya station. What is the primary tourist draw here? THAT crossing. 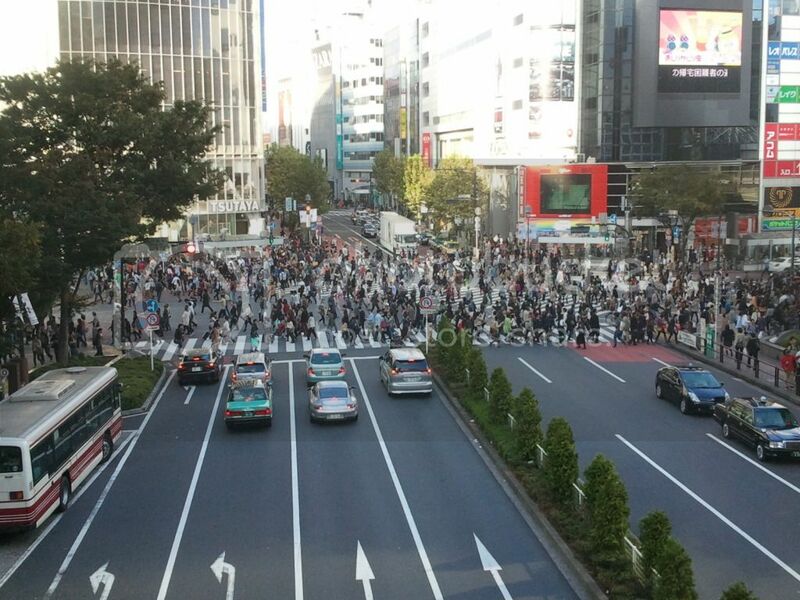 If you have seen some Hollywood movies set in Tokyo, they always tend to include a shot of the mad dash of the crowd crossing the pedestrian lanes from different directions. This is what most people come here to see because it is the perfect representation of Tokyo's population density and the scramble for space that comes with it. 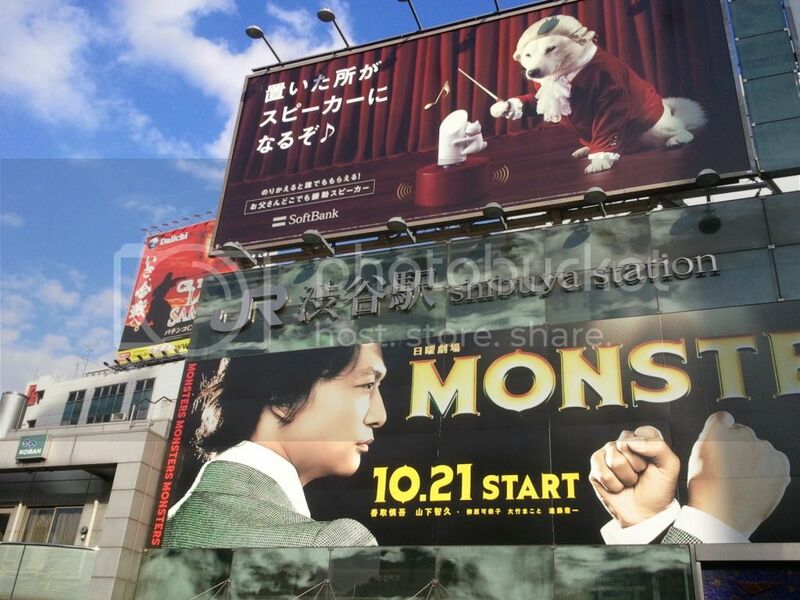 Aside from this, Shibuya also holds some sort of world recognition that has something to do with its two-story TVs that stream ads. 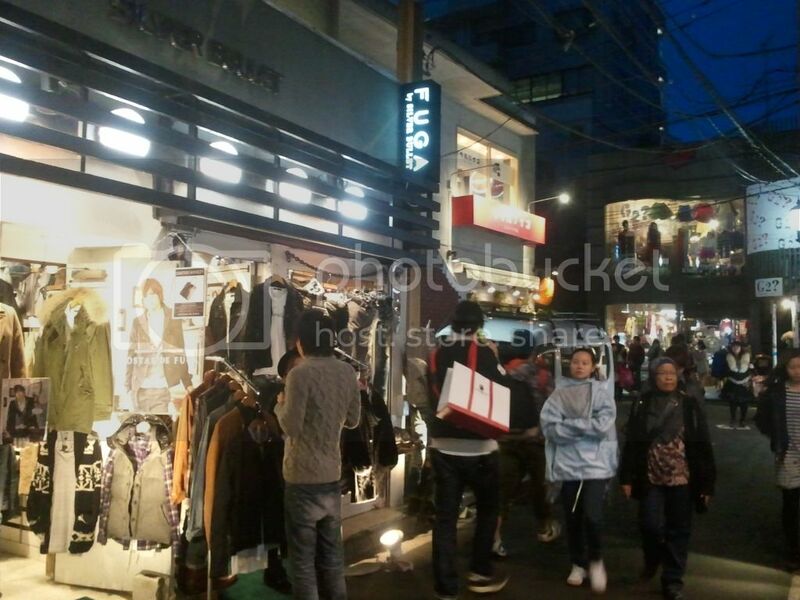 And of course, you could also shop here, although you might want to reserve that for Harajuku. Head north. 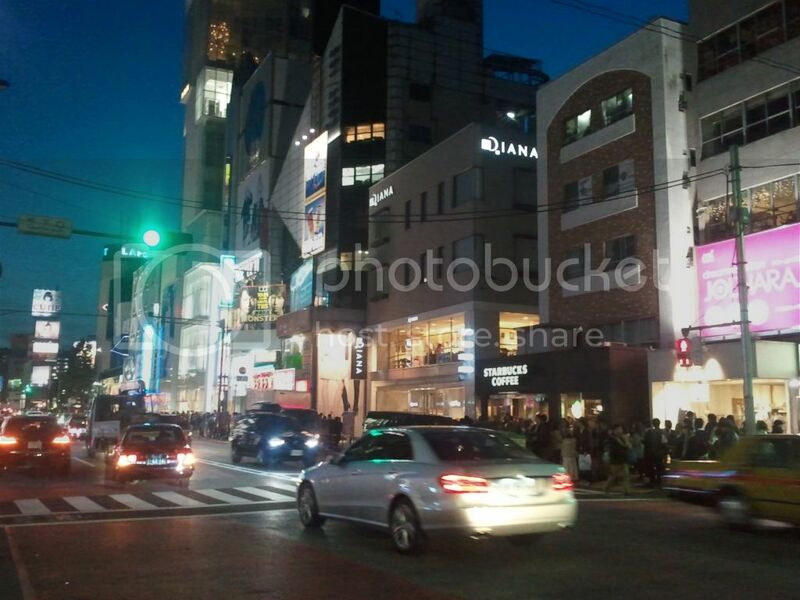 You would see more of Shibuya and how it is like as you cross its streets. You would then notice that the clothes somehow get weirder as the crowd gets thinner. This means you are approaching Harajuku. 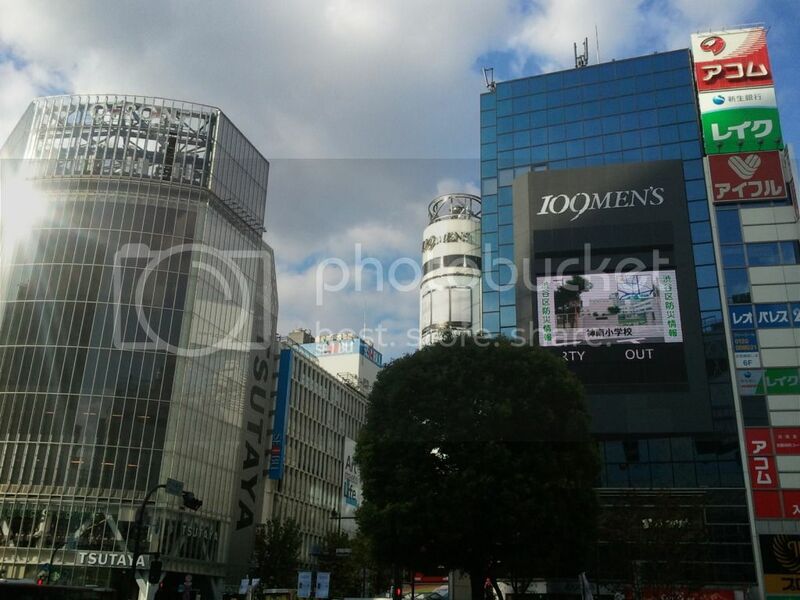 There really is no boundary because Harajuku is technically under Shibuya's administrative control, but if you want some landmark to set some frontiers, then that would be Omotesando. 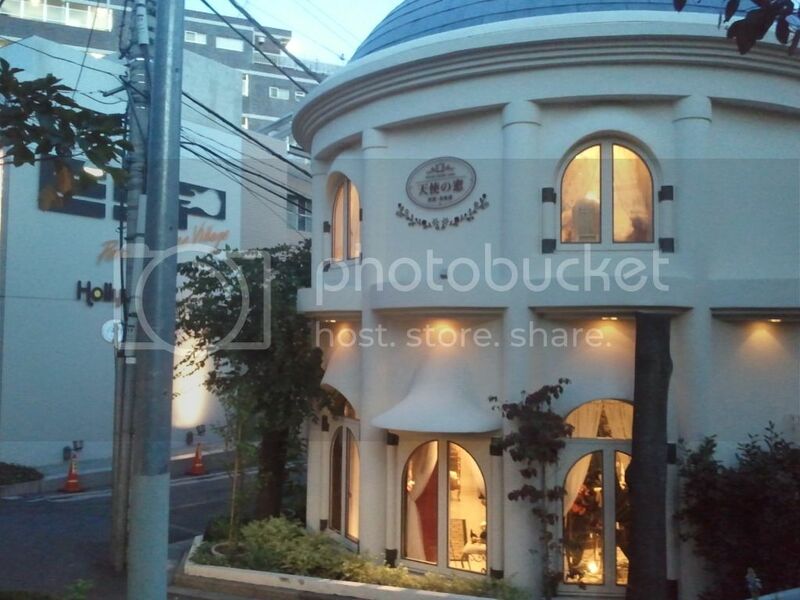 Omotesando is a hilly portion of the district which is in a stretch of long road, the northern side of which is where Harajuku is mostly concentrated. 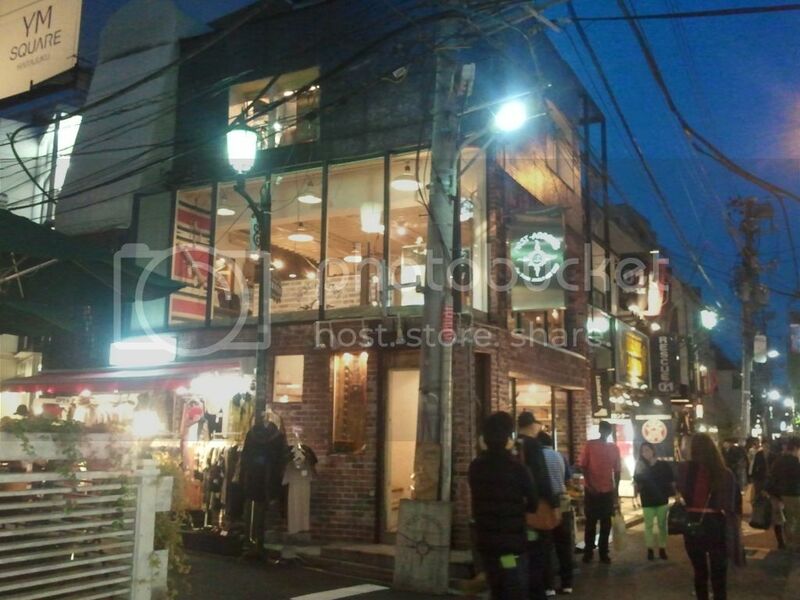 You might want to wait for it to get dark at around 5:30 PM so you could enjoy Harajuku's lights. 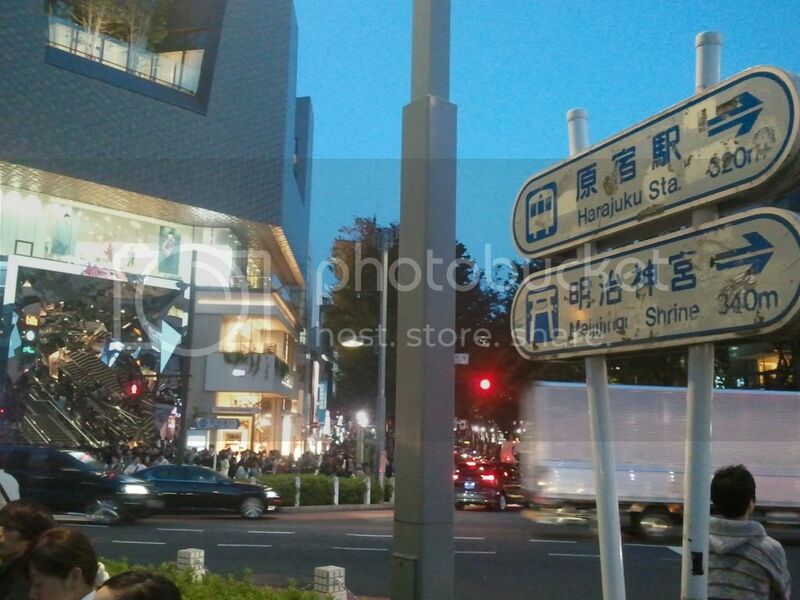 For the time being, turn left at Omotesando and go straight. 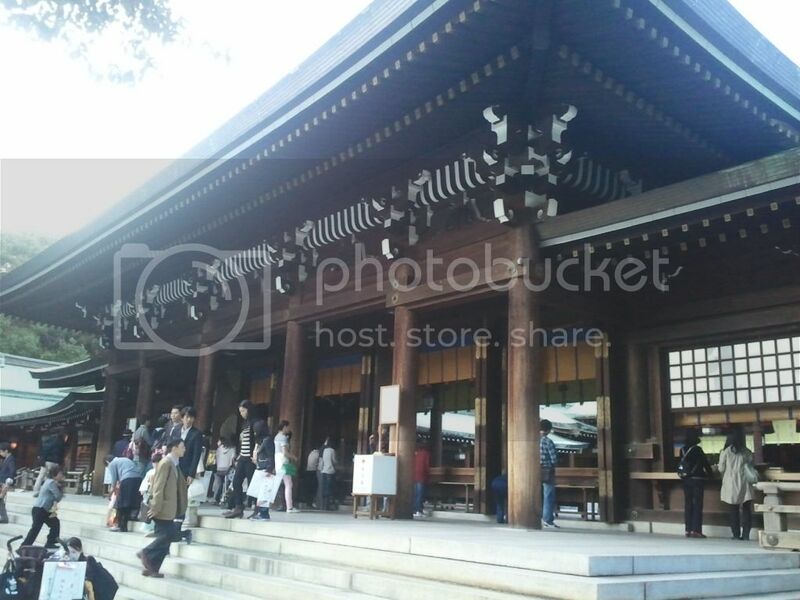 You will end up at Meiji Shrine. 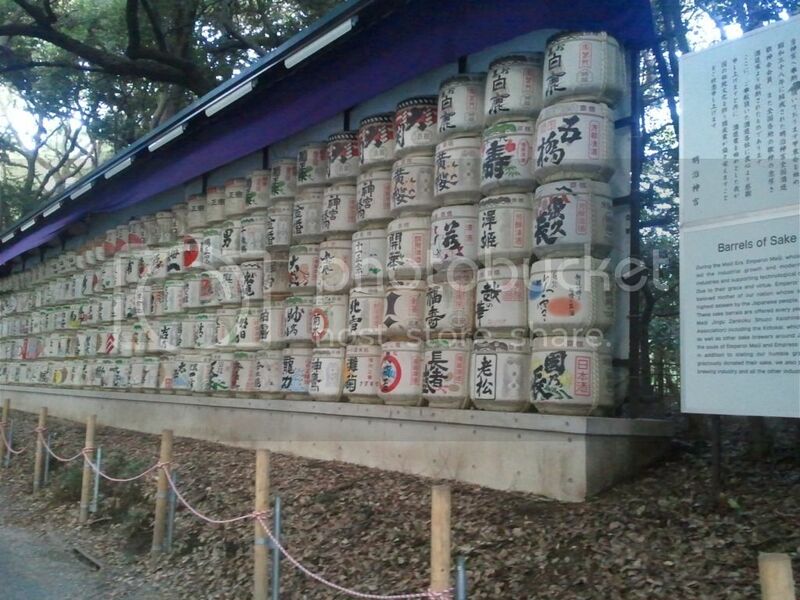 The area that Meiji's shrine and garden occupy is shared with Yoyogi park. It is one huge green area that would definitely look awesome in autumn when the leaves turn into a fiery red and orange, but looks like the setting of the Blair Witch Project if seen with the leaves still green. It would be freaky to stay there alone, especially in the dark. The woods look creepy. In any case, head to Meiji Shrine, which is just a few cartwheels away from Meiji Garden, which levies an admission fee of 500 yen. They say it has a beautiful pond. I say I am not interested, and so off to the shrine I went. 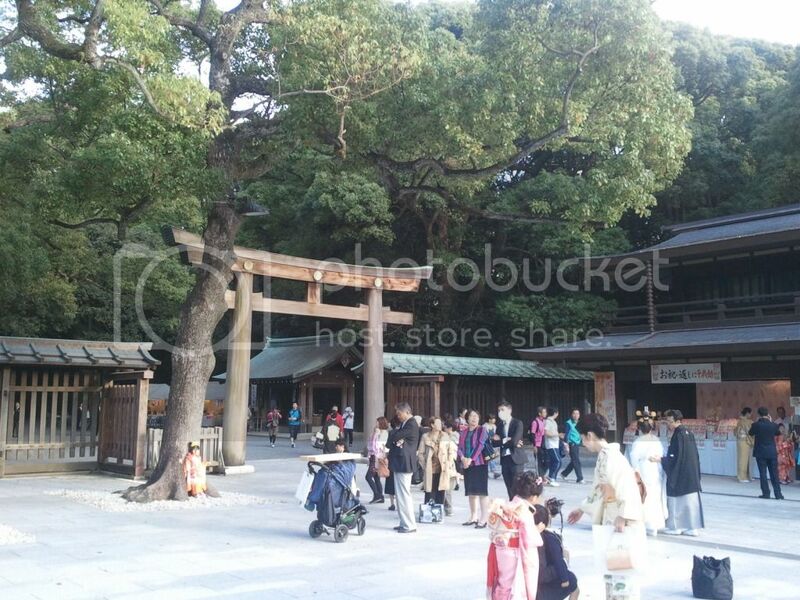 The shrine was very active when I was there, with some tour groups and people garbed in traditional costumes. Some of them were doing several rituals while others were busy camwhoring. Japanese shrines tend to be a simple mix of brown and green, which is just right because they have no business being flashy. They are places of religious significance, not disco bars. Hello. I do not know if I also walked around Yoyogi Park or I skipped it. The maps were a bit confusing, and the whole place looked the same to me. After the shrine, you could opt to head farther north and end the trip at Shinjuku, but come on, would you really want to skip Harajuku? 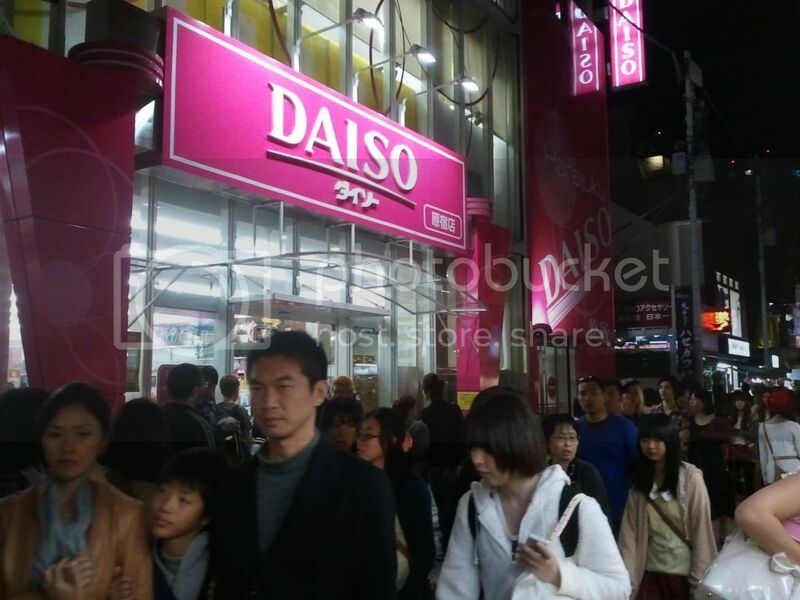 If it is still a bit bright, then kill your time at one of the many food establishments on either side of Omotesando. I had soms sweet pastries and iced choco at St-Marc. Yummy. 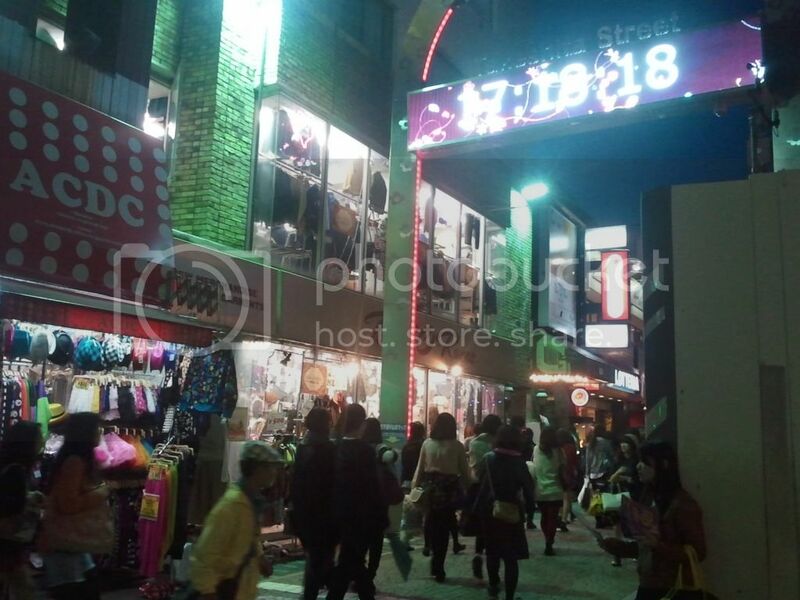 Anyway, even if you have a cheapo camera phone that has no flash, it really would not matter as Harajuku's lights would suffice to take a good photo or video. 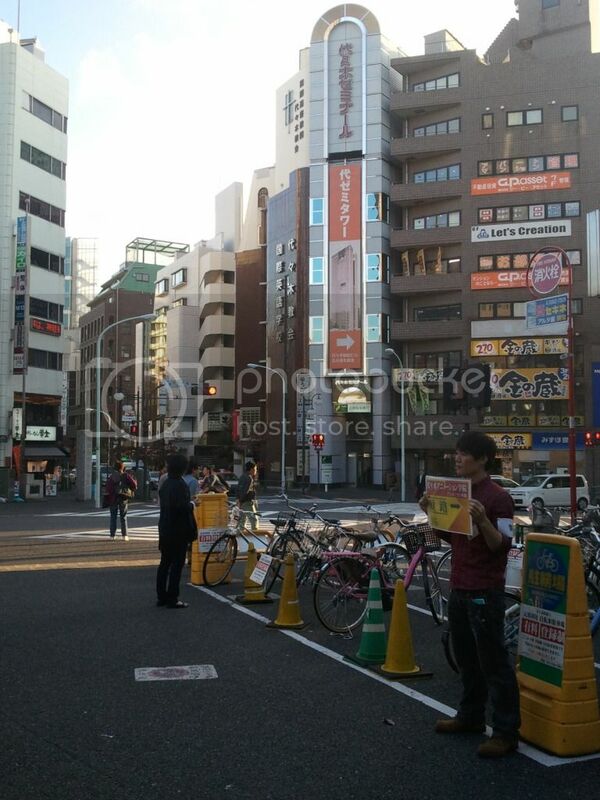 The action is at Takeshita street. 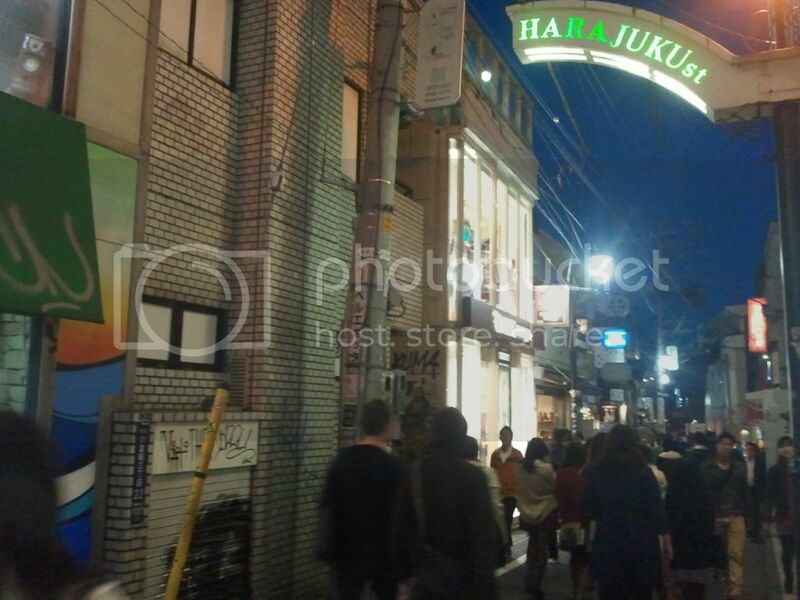 You would find two Harajuku streets but they are not as lively as Takeshita. They are all pedestrian shopping streets, by the way, with their own entryway marked by an arch with the road name on it. Takeshita's stalls are mostly clothing items and anything you could connect to vanity. 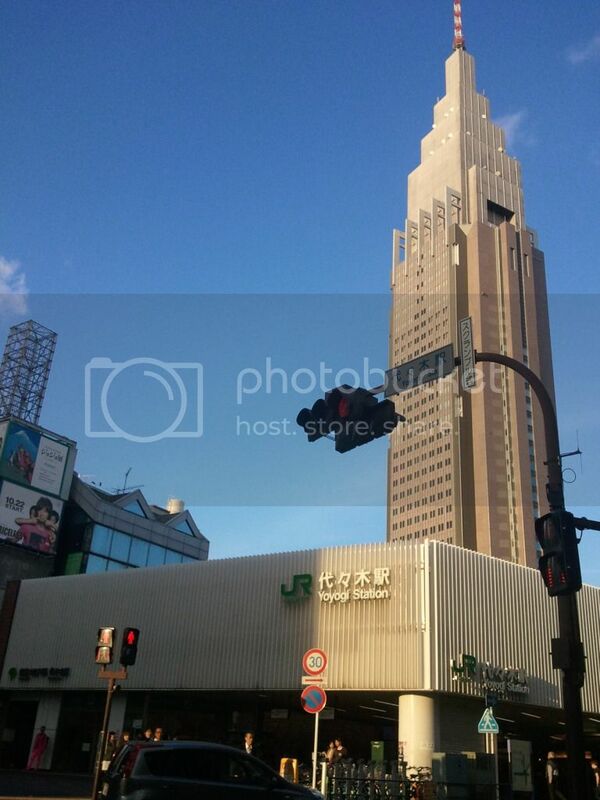 The food stores are located mainly on the entrance in front of JR Harajuku station. 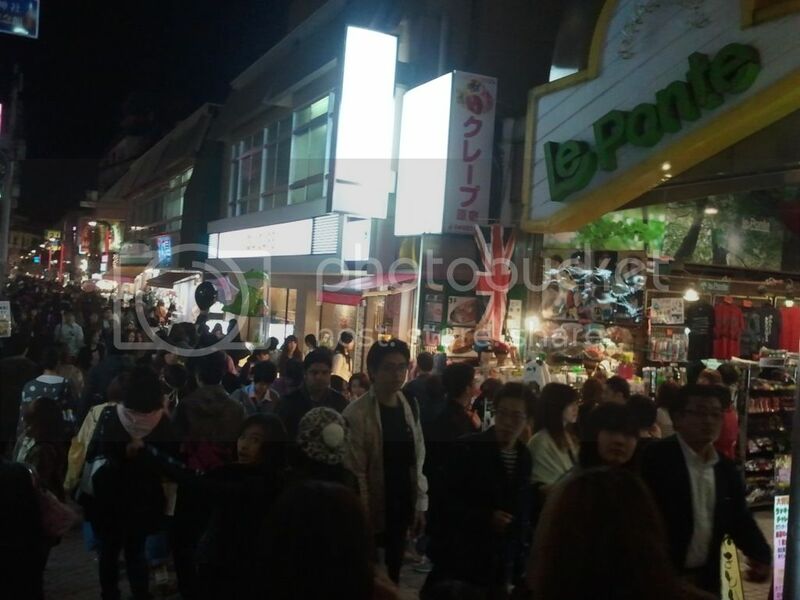 There are also some steady supply of K-Pop to be heard blaring from the loud speakers (Sandara's Kiss when I was there) and anything related to them sold through all types of fangirl merchandise imaginable to mankind. This is the place to snap that souvenir photo even though it might be difficult to do so because of the crowd. You have to do it anyway! In front of one of the lingerie stores if you want to be provocative! Or with one of the cosplayers who seem to be mainstays in that area's landscape. 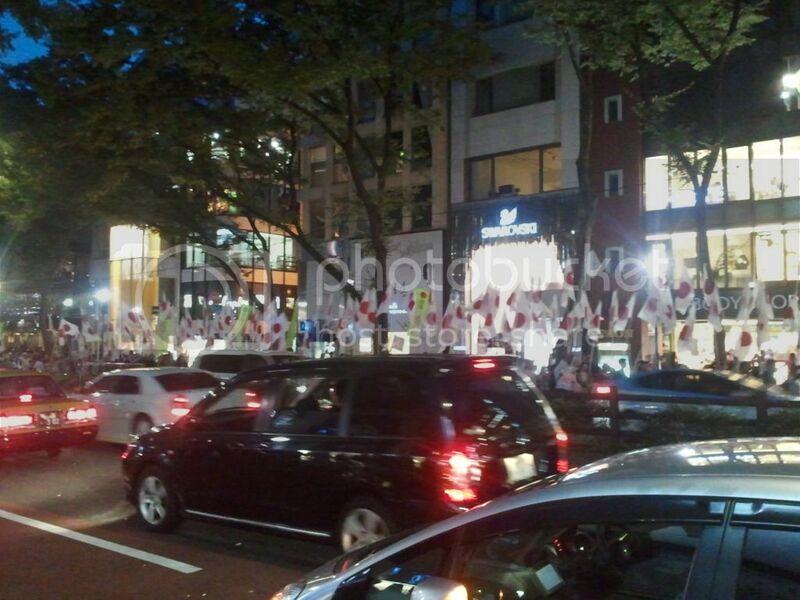 Cross the street to the two Harajuku roads if you want some peace and quiet. Most of what could be found there are still related to vanity. Many clothing shops still abound, but seem to be getting stiff competition from the hairdressers, which are just as plenty. There are also some cafes that offer a more intimate atmosphere for couples out on a date, or for singles who just want to take a rest from half the world's population shopping outside like they have received Sadako's ultimatum and thus only have seven days left on Earth to swipe their credit cards. 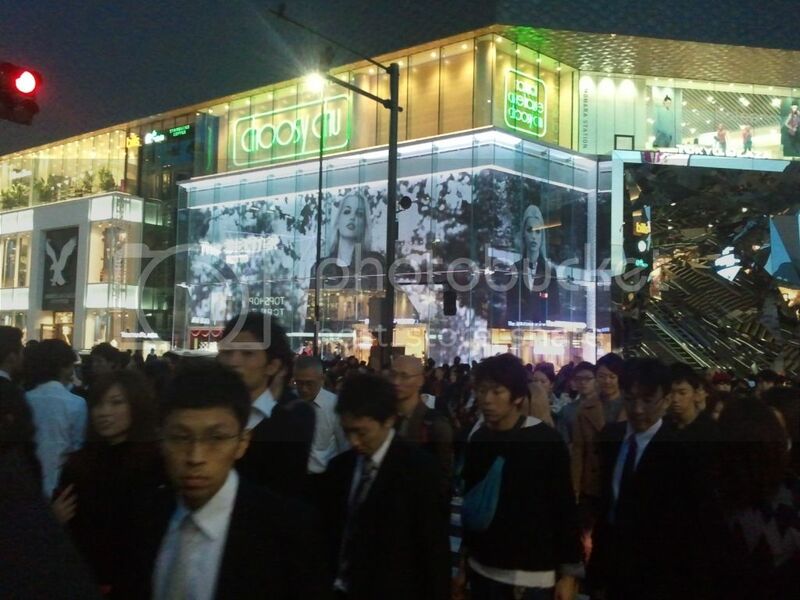 Once you get tired from all the commotion, it is time to head to Shinjuku, for more commotion. 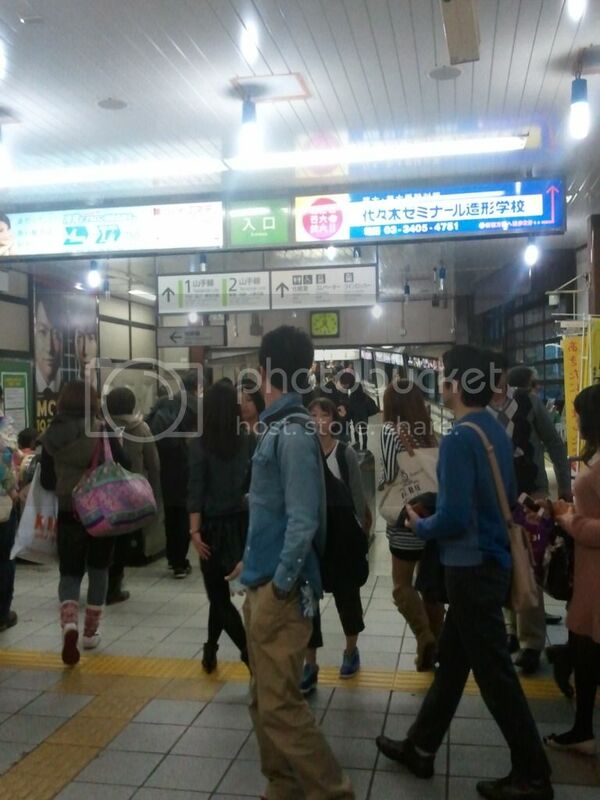 No, Shinjuku is mostly a transit area for whatever line of the subway you have to take to get back home. 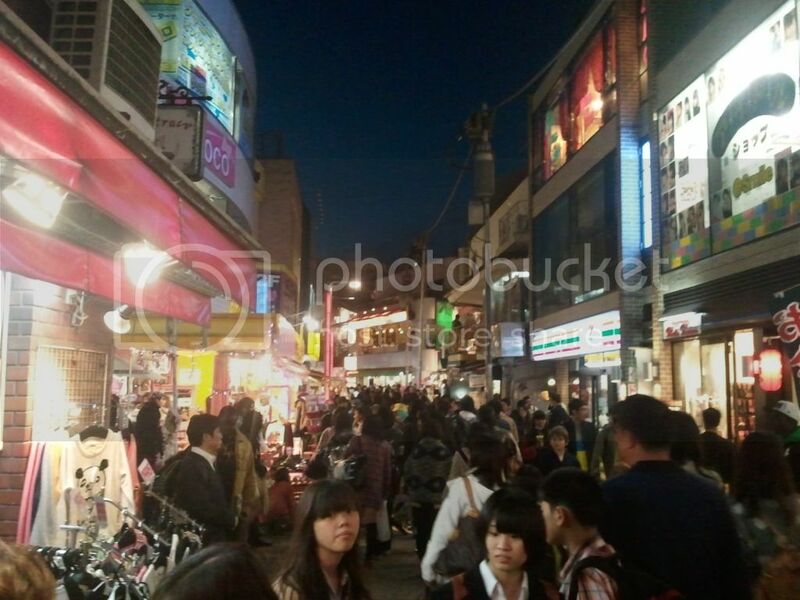 However, if you want more crowd and more shopping, Shinjuku also has a lot to offer and all you have to do is explore. It seems as though that area does not sleep either. Shinjuku is its own district by the way. By the time you get there, you are no longer in Shibuya. As the night was still young and getting back to the guesthouse to rest would be a total bore, I decided to go south to Roppongi, which is in the Mitano district. That was a very good decision because that night coincided with the Halloween party madness that Tokyo residents take rather seriously. Hey, they are notorious for being workaholic but they also know how to party, and in costumes to boot! Unaware of the event, I came dressed as myself. Apparently, I am not as scary as I imagine myself to be. In any case, Roppongi serves as the favorite night time playground of choice for Tokyo's youth and adults alike. Halloween or not, the party never ends there. Spend a whole day for this itinerary if you want to maximize each aspect of it. This is probably Tokyo at its most vibrant that you could experience for yourself.